Pedram Hendizadehwas the third podiatrist I went to regarding an ingrown toenail infection. He is the only podiatrist I went back to again. From the first appointment to the second there was a huge improvement in my condition. He and his staff are very friendly and punctual. He cares for his patients and sent out a thank you note after my first appointment, thanking me for choosing him as my doctor. Its the little things that matter. I highly recommend seeing Dr. Hendizadeh for any kind of foot issue you may have. Having had a previous bunion surgery that didn't heal so well I saw Pedram Hendizadeh and he was great! His knowledge and bedside manner helped me understand my options and now I have amazing results! I did not 1 but 2 feet and am so much happier for it. The staff at the office is also very friendly and helpful. I was seen by his associate Evan A Vieira a couple times and was made to feel just as comfortable. I would highly recommend this practice! As a busy mom of 2 kids my feet are always aching. After seeing Dr. Croughan we both decided Orthotics would be beneficial for me. Well, Its been 3 weeks and my feet haven't felt this good in years !! I highly reccommend this office !!! They even love kids !!!! I had bunion surgery with Evan A Vieira DPM. He was very professional and kind each time I met with him. The surgery was very successful and I am pain free. Dr. Hendizadeh is one of the most professional and knowledgable doctors I have ever been to! He clearly explained everything I need to know about my condition , and made me feel better about my foot issues!! And I'm finally all better now!!! My experience with Pedram Hendizadeh has been nothing short of spectacular. He is a caring doctor, with incredible knowledge in his trade. He does not rush, takes the time to explain and is incredibly solution oriented in his approach to diagnosis. I have since recommended many people to Dr H, all of which have raved about the stellar experience. Kudos to him, without his care I thought I would not be able to run anymore, let alone complete marathons and endurance races. This year - 1/2 ironman - thanks Dr. H! Beyond competent , compassionate , and professional. I am a registered nurse for over 25 years. For the last 2 I have had the privileged of working in a recovery room in a facility in which Pedram Hendizadeh performs surgery. After witnessing the level of care and concern given to each patient I decided to have my own bunion surgery done that I have been putting off for 5 years due to fear. My fears were quickly put to rest and the surgery on both my feet was a success with an amazing minimal amount of pain. I highly recommend Dr. Hendizadeh to anyone contemplating bunion surgery I can with full certitude say that you will become a happy and satisfied patient added to Dr Hendizadeh's many. The orthotics he (Pedram Hendizadeh ) got me are the best thing to ever happen to my back pain. Pedram Hendizadeh is very professional, has an extensive knowledge in his field. He's determined to help others and do his job the best way. I had bunions since I was a child and I was always self conscious especially during summer. Finally I met someone who recommended Dr. Hendizadeh. I think I made a right choice, I'm very happy with the results and my foot looks beautiful now. I can't believe that I waited so long to have this done. It's totally worth it and Hendizadeh is the best at applying his expertise to do it for you. I highly recommend Pedram Hendizadeh and his staff. After 8 yrs I finally decided to have bunion surgery. I had minimul pain, quick recovery and the foot looks great! Dr. H. is caring, professinal & very knowledgeable. I had a great experience. I left my previous doctor to see Pedram Hendizadeh. From 10/8/2014 to present he examined me and told me I did not need surgery which the previous Doctor had said. Second opinions are always a good thing. Dr. Hendizadeh told me by 11/2014 I would be healed and he did it !! I am all done and back to normal thanks to Dr. Hendizadeh. I would highly recommend him to everyone. M. Worthman. Thanks to Evan A Vieira finding a suspicious mark on my foot. I went to a dermatologist, who found that was ok, but also found a precancerous growth on my leg. If it wasn't for him seeing that, i probably wouldn't have gone to the other doctor , and it would have been bad. Alison D Croughan has made our whole family feel welcomed. We love her and can't say enough about her. The whole staff is friendly and you hardly ever wait for your appointment. Dr. Croughan always answers your questions. She helped my daughter with her fracture when I had gone to a different doctor who had not done right by her, but Dr. Croughan fixed her foot and now she is up and going. I left the office very pleased. Evan A Vieira was very thorough. He answered all my questions with patience and didn't feel rushed. I definitely recommend him. Also the office is clean and staff is awesome. BUNIONECTOMY. Most stories you hear from people who have had this surgery are pretty awful. But this has NOT been my experience. Pedram Hendizadeh has operated on BOTH my feet in the past 2 months. I'm telling you that with an excellent surgeon and consistent follow-up care, your bunion surgery can be entirely manageable. My experience with Dr. Hendizadeh and his office has been great. I have never waited more than 15 minutes for my appointments and most times I have been seen at exactly my scheduled time. The staff are friendly and professional. Dr. Hendizadeh is an excellent doctor and surgeon, very knowledgeable, thorough, and kind. To anyone considering bunion surgery with Dr. Hendizadeh, don't put it off! You will be back on your feet with minimal pain in very little time. Pedram Hendizadeh is an amazing doctor! I went to 3 different podiatrists and Dr. H was the only one who correctly diagnosed my Morton's Neuroma and was able to help me. I wasn't sure I would be able to continue running. Dr. H gave me a series of alcohol injections and I was able to run again! I follow-up with him every few months for an injection and it has allowed me to continue to run and excercise comfortably. I am so grateful to him and highly recommend him to anyone looking for a great podiatrist. He is the best! Excellent care. Knowledgeable and caring doctor. Treated numerous issues successfully. ( Pedram Hendizadeh ) Takes the time to explain and ensure your understanding of the problem and treatment. Wonderful staff who goes above and beyond to schedule your appointments and handle all administrative needs. The entire experience is always pleasant and I wouldn't go anywhere else. Beautiful office. I went to another podiatrist for years complaining of plantar fasciitis and after cortisone shots, therapy and wearing a boot for several months, it never improved at all. Pedram Hendizadeh was able to actually help me and it finally got better. It was not a total cure but significantly better. He really is very knowledgeable and willing to think outside the box. Highly recommended. I saw Evan A Vieira recently and have to say that I was beyond pleased. I have had encounters with other podiatrists who I felt did not take my foot concerns seriously. Not only did Dr. Vieira do he listen to my complaints and has already made an improvement in my daily pain. I would highly recommend. His staff was also phenomenal. LOVE Evan A Vieira and his office staff!!! He is so knowlegeable and compassionate. EXCELLENT bedisde manner. He has helped my foot pain tremendously. Would not go anywhere else!! Such a wonderful bedside manner and very friendly yet professional. So glad Alison D Croughan is there. The staff is also extremely nice and genuinely caring. She (Alison D Croughan) was amazing. I've been procrastinating addressing issues due to fear. She was so gentle and thorough and I couldn't be happier!!! I came in a few days ago with a foot that wouldn't stop bleeding -- more details you do not need -- and got wonderful care from Alison D Croughan. Efficient, diligent, persistent, clear (no fancy lingo for her). And thorough: she did a biopsy to see if the wound was worse than anyone thought; she wanted to see the x-rays; she wrote a prescription. Because of her, I am no longer bleeding; my foot hurts less in gradual stages; I am not frightened that I will bleed to death in my bathroom. I would recommend this practice highly. I also received the best, most friendly, most attentive help and follow-up from Annette and Lois. Although I am seriously skeptical about Western medicine, I am now completely convinced that APR is the place to go. I suspect they do wonders for regular maintenance as well -- not only for patients who are threatening to make a mess of the waiting room. Pedram Hendizadeh, over a period of fourteen years, has taught me that it is very important for a person with diabetes to have periodic podiatric medical care for the feet. Dr. Hendizadeh is a very competent, knowledgeable and caring podiatrist well versed in how to prevent and care for diabetic foot ulcers. Pedram Hendizadeh helped cure my tough inrgrown toenails with a laser that no one else had. I had seen 2 other doctors but was referred to him by my neighbor. I had to drive 45 min to see him but it was well worth the trip. My ingrown toenails have been gone for many months now. He has great bedside manner and the office staff was also very kind and caring. As a physically active 39 year old mother of 2, developing plantar faciitis was debilitating. I had been dealing with this condition for 2+ years prior to seeking the help of Pedram Hendizadeh . I tried cortisone shots(quite painful and would wear off quicker and quicker), as well as other techniques with little improvement. I sought out Dr H., one of the only Dr's that has this newer EPAT technology to get some relief. My first treatment was March 14 and continued to see Dr. H as instructed every 2 weeks for 2 follow up treatments. The treatment itself is not painful, although afterwards there is some throbbing and discomfort. I also ordered the custom orthotics. Results within 6-8 weeks with pain becoming more concentrated. I opted for a 4th treatment to zone in on the affected area. Now just 4 months later I am 90-95% better and have continued my active lifestyle. Dr. H. is very knowledgeable and has a warm calming bedside manner. Although costly, I am thrilled I opted for this treatment. I had the pleasure of seeing Alison D Croughan today as a new patient and I must say I am very pleased with her and her staff. Her office and staff were delightful. She answered all my questions with care and never rushed me. I would highly recommend this office and podiatrist. I will be returning and referring !!! I had a very positive experience with Alison D Croughan . She was pleasant, thorough, easy to talk to and as well, listened to my concerns. She provided good information regarding treatment options and I felt comfortable with the remedy. The office is very clean, modern, and comfortable. The office staff is professional and helpful. I believe this office, Dr. and staff..."get it" regarding patient care. Alison D Croughan is amazing. She took the time to make my wife feel comfortable and to explain everything that needed to be done for her fractured foot. I would highly recommend her to anyone that has foot issues. She is caring and compassionate and takes the time to put you at ease. In addition, the office is very clean and the staff is very accommodating and extremely helpful. What a friendly office and atmosphere. I felt like I made a bunch of new friends. Alison D Croughan was especially nice and cured my warts. I love this group and highly recommend it. You will not be disappointed. Alison D Croughan and the staff is amazing. They are all so pleasant and courteous and always willing to do anything for the patient. The office is extremely clean. I love the environment. Ps. They dont mind if you bring your kids with you which i love. Alison D Croughan is a great Podiatrist, she explained in detail all about my foot problem and and what she could do to correct my problem.Her treatment was gentle, and I felt better after she treaded my feet.I have had a hard time finding a Podiatrist, but I feel secure I finally found the perfect Podiatrist. I googled "podiatrists" and Associated Podiatrists topped the list. I scheduled an appointment without requesting a particular doctor. I had the pleasure of seeing Alison D Croughan. I had no idea she was new to the practice. You would never know it. Her professionalism and caring attitude were top rate. She took the time to answer all my questions in a manner that I totally understood. She was extremely thorough. The staff was great as well. 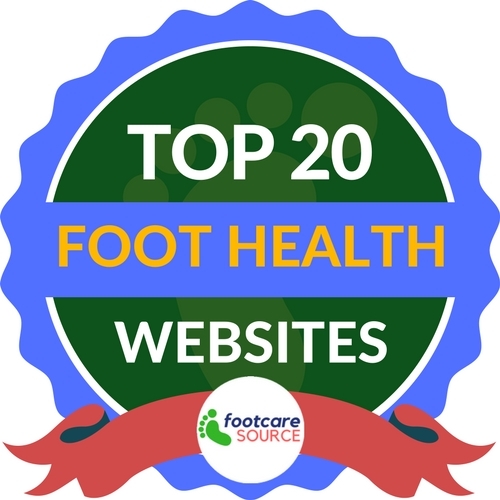 If you ever need a podiatrist - Associated Podiatrists is the place to go. On behalf of my feet (particularly my baby toes) as well as my entire self, I thank Pedram Hendizadeh for his service. He, his partners & entire staff took their time to talk me through the entire procedure, pre-op, post-op & with the follow-up appointments. Never did they hesitate to fit me into their schedule if I was in pain or had a concern. They are the kindest, most professional & experienced podiatry specialists that I ever could have asked for. Hopefully I won't need further surgery, but if I do, I will only use Dr. Hendizadeh. I would fly across the country to have him & his staff take care of me! There was plenty to learn about my feet, posture, gait & muscular-skeletal system. They educated me, showed me the x-rays & explained everything in language I could understand. Please, if you need to improve your feet health, seek the care & attention from Dr. Hendizadeh! I will stay in touch with Dr. H & his staff at Associated Podiatrists of Fairfield, because now they are my friends! Dr. "H" (Pedram Hendizadeh) is very pleasant along with the office atmosphere. He listened to my issues and responded in detail how he would fix my hurting foot. I have had two surgeries with the second one very involved. I was back in my flat shoes and suede boots in 5 weeks and wearing some heels in 8 weeks which is amazing. I have recommended him to friends who have also been very satisfied. Amazing Doctor (Pedram Hendizadeh) and staff. Surgery was very quick and I was given all the necessary information I needed prior to my surgery. I had a bunionectomy on my right foot just under 5 months ago and I'm already going about my normal lifestyle including traveling, gym, etc. The foot is slightly swollen but that's still normal and I am pain free. I began working out again about 3.5 months out of surgery without any problems. I will start running again this week! The foot looks great and I couldn't be happier. Very receptive staff made me feel welcome the moment I arrived. When I met with Pedram Hendizadeh I was pleased with his very warm personality. He was extremely comprehensive with the explanation of my problem including visual aids and case histories. He gave me a timeline as to my recovery and was right on target. The surgery was a complete sucess in that i no longer have pain after many years. His follow up visits were always informative keeping me abreast of path recovery. It's hard to believe I can say that surgery was a gratifying experience. All because of Dr. Hendizadeh and his staff. I first met Pedram Hendizadeh as an emergency patient, a lifelong diabetic with an infected toe that had been misdiagnosed until I was sent to him. For someone with diabetes this is akin to having a fire in the reactor of a nuclear sub. Dr. Hendizadeh brought the infection under control in short order, undoubtedly saving my toe and perhaps a larger part of my foot. Since that first visit I have become a regular for ongoing foot care. But beyond that, I actually enjoy my visits to his office, I'm always greeted warmly by his wonderful staff and I genuinely appreciate the fine quality of doctor and person that Dr. Hendizadeh represents. I now go in on a regular basis for ongoing foot care and have come to look forward to these visits...imagine that!! !